Java brings a lot of popular and user-friendly frameworks, content management systems and servers that help to simplify the application development process, website management process and much more irrespective of the size and complexity of the project. When it comes to CMS, Java possesses a host of CMSs that have been highly recognized in the market, but one CMS that has gained great popularity and attention from the developers and companies across the world is Magnolia. Magnolia is an open source content management system which delivers exceptional simplicity on an enterprise level, combining user-friendly usage with a standards-based and flexible Java architecture. Companies such as Airbus Group, Al Arabiya, Avis and Virgin America use it as the central hub for their web, mobile and IoT initiatives. Founded in 1997, Magnolia is a privately-held company headquartered in Basel, Switzerland. The company has offices around the globe, and customers in over 100 countries. • Magnolia comes with a smart cache, a built-in clustering capabiliy and distributed deployment architecture that easily decouples authoring from publishing and the possibility to develop load-balanced public servers to bring more throughput and availability. • It also offer code highlighting for the designers & developers, easy integration of 3rd party frameworks, extendable workflow, J2EE compliance, RSS generation & aggregation and more for the customization. • When it comes to designing, it brings standard-based templating in JSP and servlets, unlimited page and component design, Freemarker as a template engine, custom tag library to speed up templating and pluggable templating engine for the designers. • It brings Open APIs, advanced caching strategies, unlimited scalability, clustering & load balancing, transactional activation and tons of other performance related features & functionalities for the enterprises. • From the security point of view, Magnolia brings flexible user permissions using role-based user management and distributed architecture, which is a need of today’s enterprises. • It also enables team work through concurrent editing, deletion, address book, workgroup collaboration and some other features. • It’s an open source. • Leverage from page-based site or navigation. • It utilizes installer, but the WAR files can be used to redeploy it to some other place. All in all, Magnolia is a very promising CMS that integrates well into an enterprise java stack. It is predominantly suited for medium to large businesses where processes need deep integration and customizations. With regards to small businesses, Magnolia might be somewhat of an overkill. How about you? 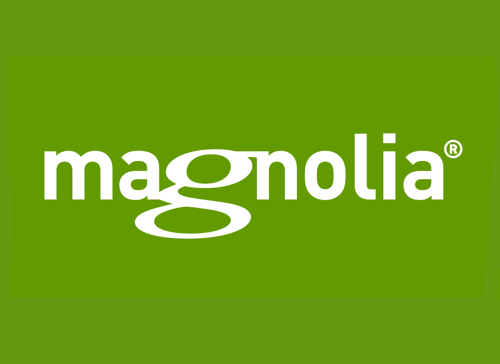 Did you have a chance to work with Magnolia CMS? What is your attitude to it? Please feel free to share with us your thoughts and experience here below. Previous postWebGL: what is it and what is it used for? Next postNode.js: what are its benefits and when to use and not to use it? Thanks Kate for this great article. I think we should also mention that configuring templates and components in Magnolia’s standard templating kit is quite complicated and dull. Combined with your conclusion that Magnolia “might be somewhat of an overkill” for small businesses, I think they are better off with an intranet solution like MyHub (https://www.myhubintranet.com/).